The main peculiarity of Blackjack is that a player has an opportunity to get an advantage over the house by learning to count cards during the game. Besides, it is quick to learn. But before starting to implement blackjack card counting you should learn the basic strategy which will help you to take proper decisions for every hand. It is very easy to learn and memorize. All card counters memorize every single card which is out of the shoe or deck. This is untruth. As a matter of fact card counters memorize very little. They look for signs and signals which signify how rich some certain deck is. 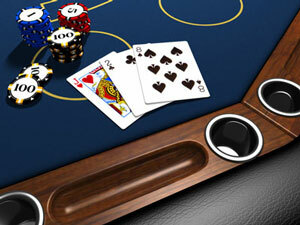 Many experienced blackjack players agree that systems which are based on card counting are very effective. The most important thing one should always remember is that card counting systems are based upon the logic which makes it successful, but not its complexity. Card counter always knows the next card. This is a wrong assumption either. The point is that card counting gives a player a probability but not a prediction. Using correct card counting system one can beat the odds of the casino by 2 - 4%. The main principle of this is that low cards favor the dealer and high ones favor the player. There is one more important thing about card counting: it should be revealed when the player has an advantage. So, if the player is in the advantage, he should bet higher, and if he is not, he should bet at minimum. So, try to familiarize with different systems and choose one which will be perfect for you. Following such system you will definitely have good chances to win big.